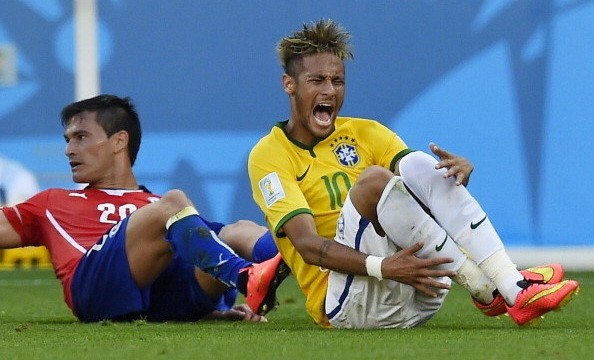 We’ve seen it against Chile a few days ago and we’ve been seeing it pretty much in every game that Neymar plays at. Every time the Brazilian star takes center stage either for FC Barcelona or the Brazilian National Team, their opponents’ main concern seems to be intimidating him as soon as possible through violent tackles and dirty fouls. With the World Cup quarter-finals clash against Colombia scheduled for this Friday evening (July 4), Brazil‘s coach Luiz Felipe Scolari decided to defend Neymar Jr by demanding a more effective protection from the referees and he even compared his case to the one he lived with Cristiano Ronaldo, back in the EURO 2004 that was hosted in Portugal. The incident however, happened in the 2006 World Cup and not quite in the Euro 2004 as Scolari suggested. Scolari: “I’ve already had a similar experience in 2004, when I was coaching Portugal in the European Championship. 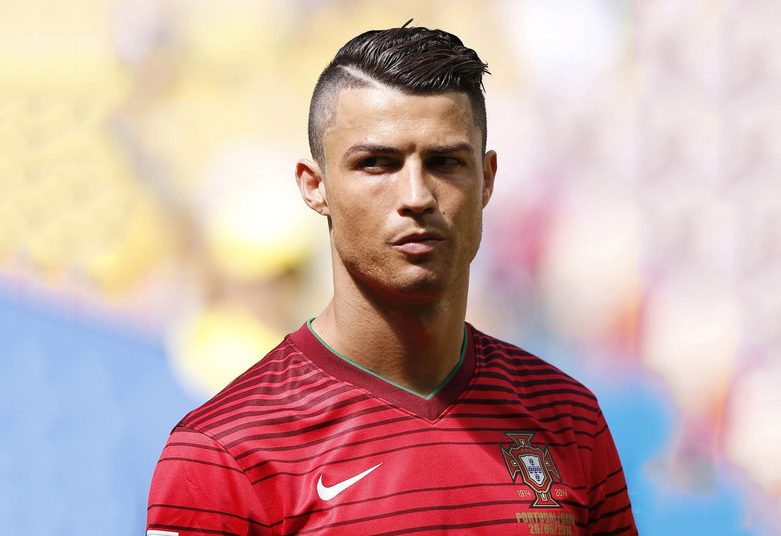 Back then, Cristiano Ronaldo was being the target of a “special marking” tactic from all our opponents and I still remember what they did to him in the semi-finals against the Netherlands, with less than 5 minutes played in the first half. He got hit hard on his thigh [in a violent foul by Khaled Boulahrouz] and he ended up being forced to leave the field later in the second half”, reminded the Brazilian coach when speaking to La Gazzetta dello Sport, an Italian newspaper. In the clash against Chile, Neymar somehow managed to play the whole game right until the penalty shootout decision, despite struggling physically after being a victim of several hard hits coming from his opponents. 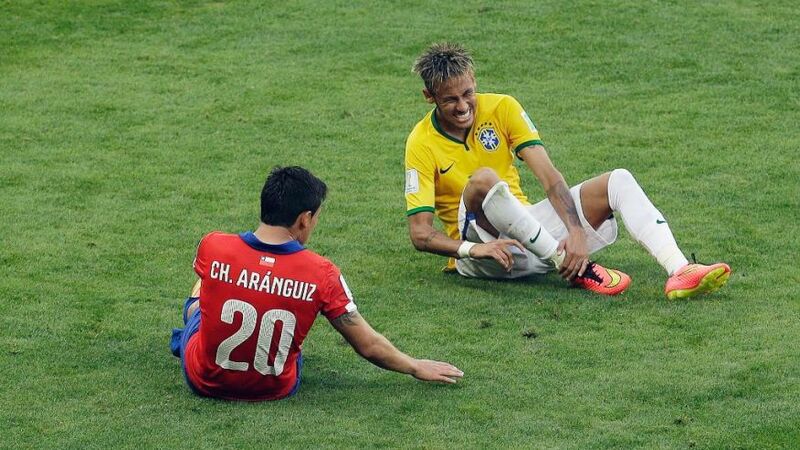 Scolari was well aware of Chile‘s intentions in the early moments of the game and that was one of the reasons why he didn’t hide his wrath towards Arturo Vidal, when he saw Neymar falling to the ground following one of many fouls he suffered in that game. Scolari: “Neymar is being the victim of the same type of treatment that Cristiano Ronaldo had back in those days. He finishes every single game with his legs all swollen up! He has been a hero so far, but right now, I don’t even know if he’ll recover in time for this Friday’s game against Colombia“, alerted the Sargentão. Brazil will face Colombia this Friday evening, in the Estádio Castelão, in Fortaleza. 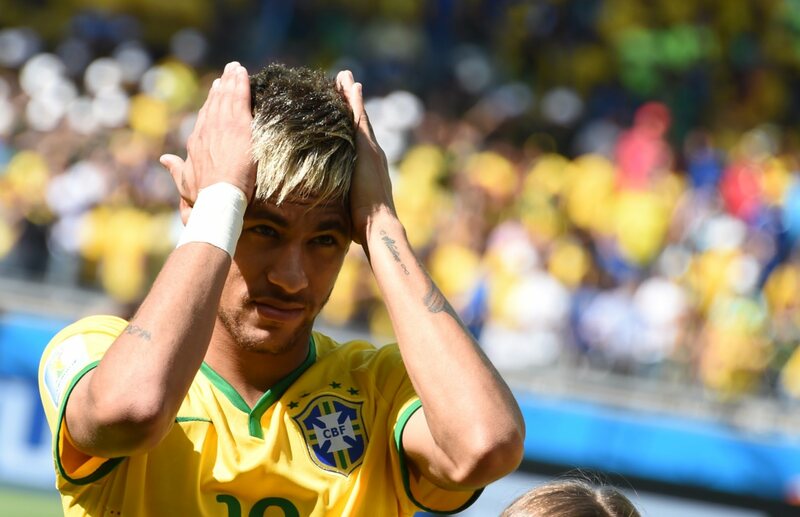 Neymar will most likely make it to the starting lineup, even though Brazil‘s coach, Luiz Felipe Scolari, has been insisting that the 22-year old is still sore from the hits he suffered against Chile.